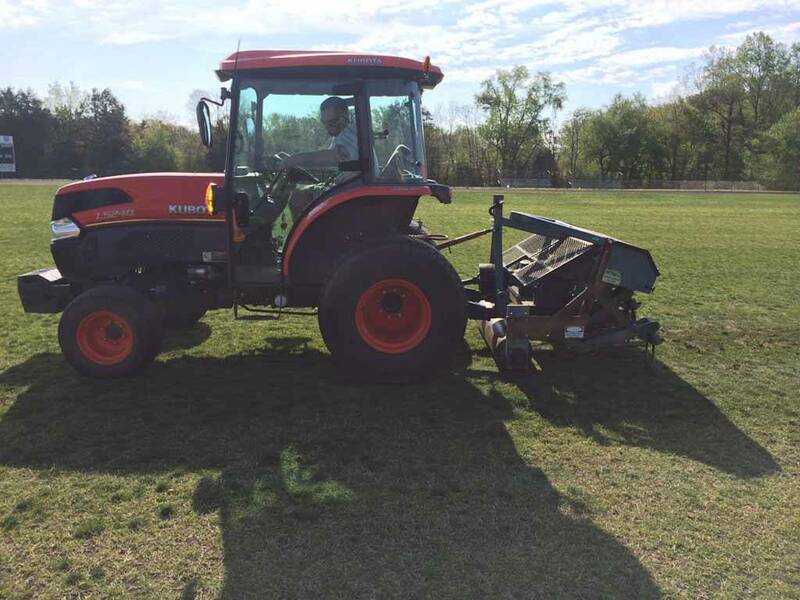 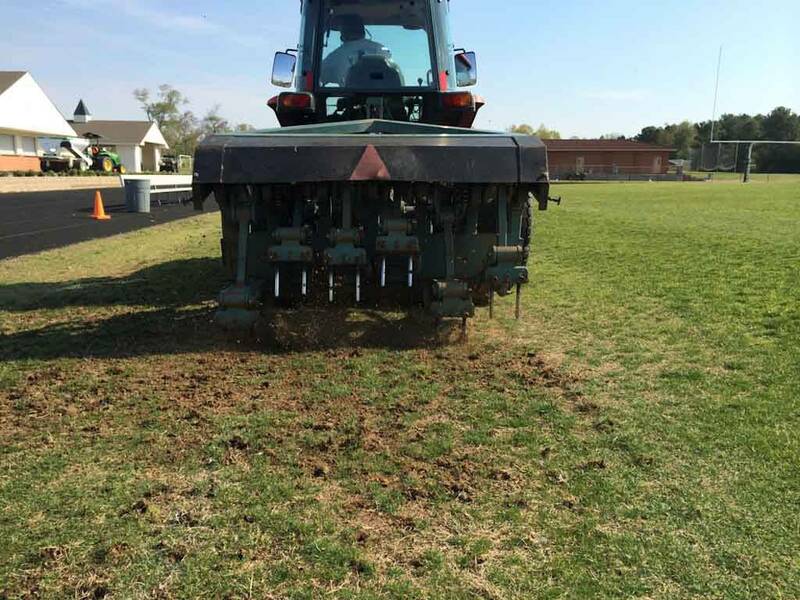 Commonwealth Sports Turf Services went out at the end of April to Deep Tine the stadium field at Benedictine College Prep. 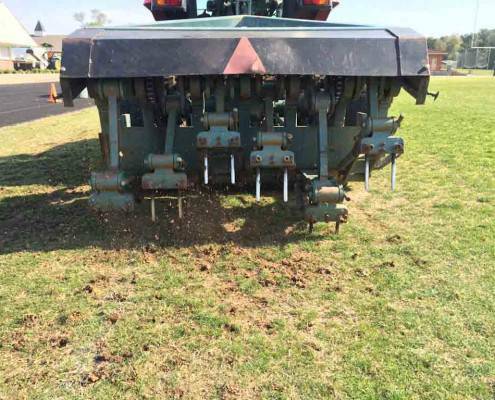 For this job, we used 3/4 by 7 inch solid tines. 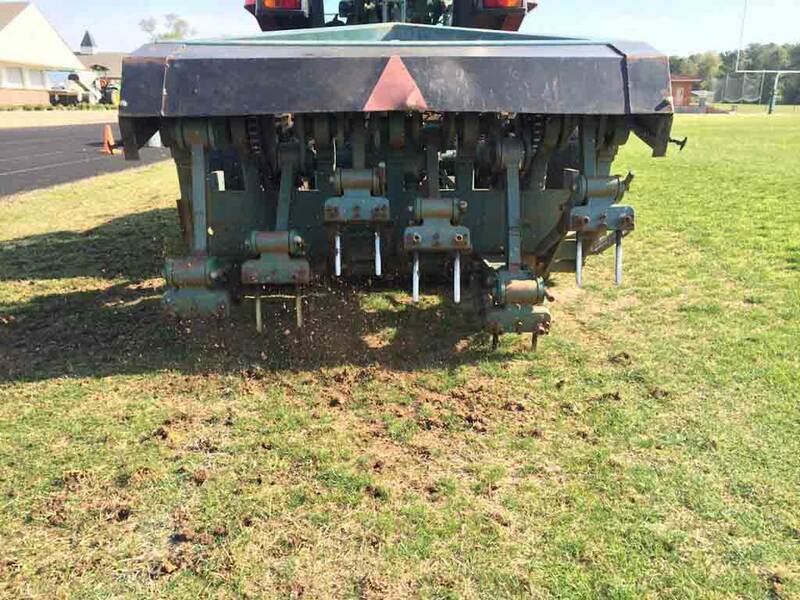 We use the solid tines to break through the compaction layer created by years of core aerating and 3 to 4 inches. 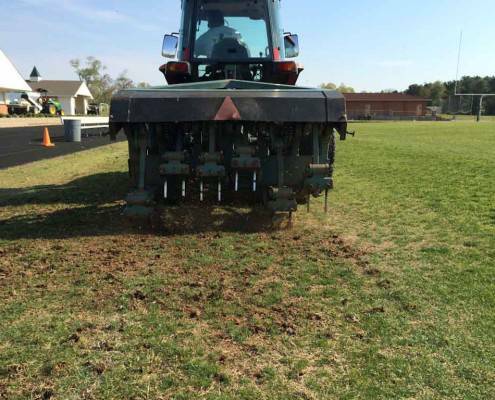 This allows air, water, and nutrients to reach deeper into the soil. 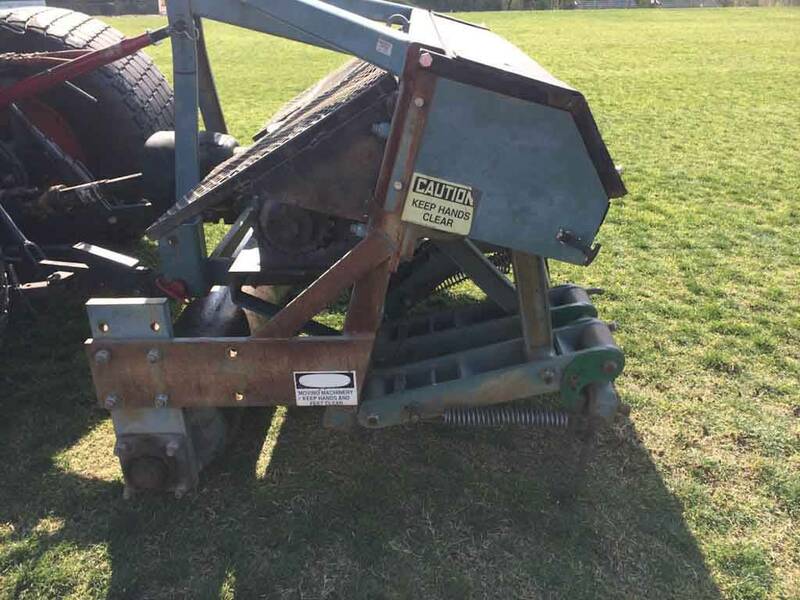 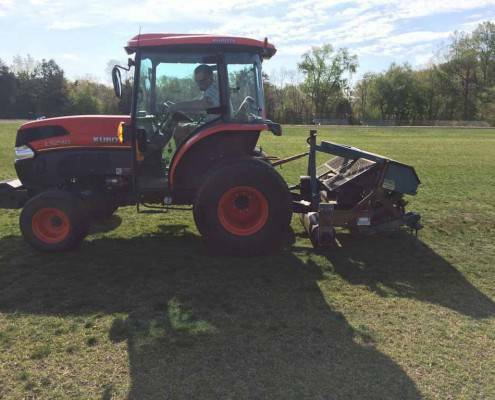 This aeration also encourages a deeper root depth, oxygen and nutrient exchange, helps improve drainage, and leads to overall healthier turf. 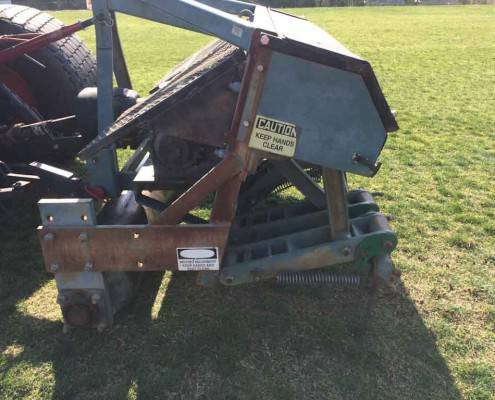 This helps your turf be more wear tolerant, and stress and shear resistant.